How much should India trust China? Home / Opinion / How much should India trust China? Even a leader of the stature of Mr. Atal Behari Vajpayee on a visit to China put another nail in the coffin of the Tibetans by signing that the Chinese had exercised sovereignty over Tibet. 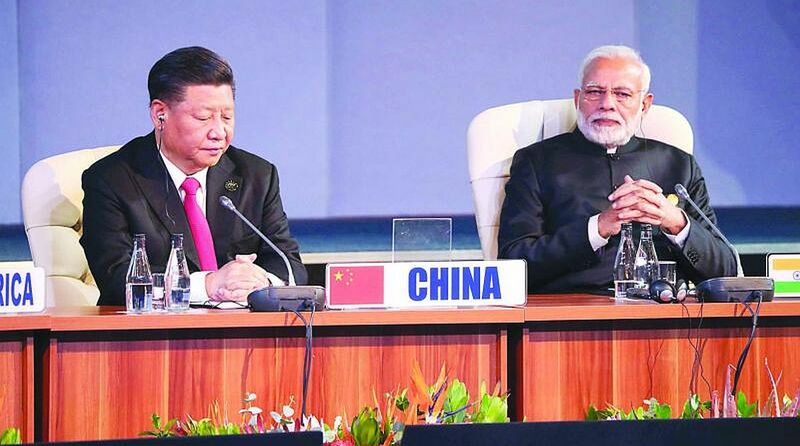 ‘It is in India’s interest to see China strong enough to provide credible bi-polarity in the interregnum during which the world moves towards the establishment of a globally respected United Nations system; one which would be capable of enforcing its mandate without let or hindrance. At the same time it is vital to India’s interest to NEVER underestimate China’s threat potential’. – Excerpt from a talk delivered at the United Service Institution by the writer in 1999. India and China represent two of the earliest civilizations that have been continuously able to hold on to their older traditions since the dawn of history. Historically, China has had a tradition of world dominance through power projection (the Middle Kingdom ideation). India, on the other hand, has never aspired to military or economic dominance. In ancient times when India was a powerful country the only influence it sought to project was one of peace and harmony. Having cast a quick glance at that earlier period it is time to look at the growth patterns adopted by the two countries since regaining their freedom after World War II. China fought its way to freedom. India, having taken recourse to Gandhian pacifism had freedom delivered to it. There was an enormous price tag attached to the pacific route to freedom – the violent partition of the country. After establishment of Chinese unity through the bloody route the Chinese leaders understood more comprehensively than anyone else that power in the ultimate analysis did flow from the barrel of the gun. They never had illusions on that score. Having understood the currency of power they went on to occupy Tibet before India was able to consolidate after the trauma of partition. Indian leaders, on the other hand, never having learned from history – in spite of writing magnificent books on it – were not able to grasp the global reality of the period. They tried to build India on the platform of idealism more relevant to the days of Emperor Ashoka and possibly the new millennium –when the world finally comes to its senses – rather than to 20th century reality. They made way for the Chinese in Tibet. They have been making way for the Chinese ever since. A humiliating defeat does not seem to have taught them any lessons. 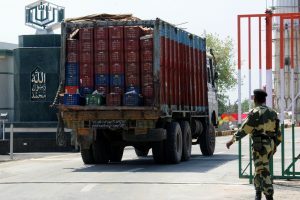 India paid a price for its lack of realism and by the looks of it will continue to pay the price – with graver consequences – in the years ahead. Tragically India moved into the new century with the same mindset that dominated the thinking of its leaders in the past. The digression into past events that are history – a sad history – becomes necessary because the same mindset has persisted except for the brief interregnum under Mrs. Indira Gandhi. Even a leader of the stature of Mr. Atal Behari Vajpayee on a visit to China put another nail in the coffin of the Tibetans by signing that the Chinese had exercised sovereignty over Tibet. Till that time it had generally been maintained that the Chinese had exercised suzerainty from time to time but never sovereignty. What great concession Mr. Vajpayee got in return is not clear. Realistically, Indian leaders rightly felt that they were not in a position to take up cudgels against the giant northern neighbor, but the appeasement did not have to go so far. The UPA government followed the same pattern. (The author, a retired Major-General of the Indian Army is author of Restructuring South Asian Security ).